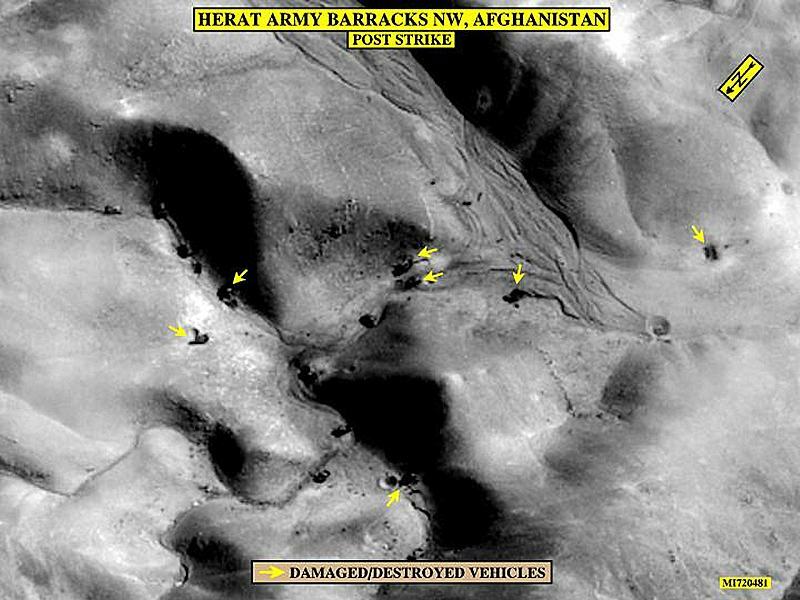 The post-strike image below shows a company of Taliban tanks arrayed tactically in ravines and wadis outside of Herat, in western Afghanistan. Coalition aircraft found the tanks and hit seven or eight of them. The arrows visible in the image point to where the tanks were. The targets were struck on Tuesday, October 23, 2001.